We offer a choice of over 2 golfcourses spread out thru Alaska. Book green fees and tee times in REAL TIME and get your confirmations immediately. 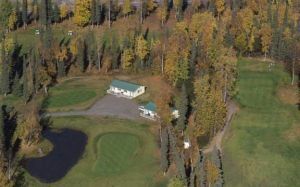 The Anchorage Golf Course (AGC), located on the lower hillside of South Anchorage, is a 6600 yard, public 18-hole course. If you are looking for a truly special golfing experience, you must visit Birch Ridge Golf Course.